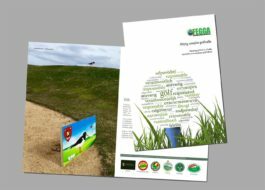 On 16th and 17th of November 2017 the Bulgarian Golf Greenkeepers Association celebrated its 10th anniversary. The event was remarkable for the industry with a two days conference. It was held in Central Hotel Sofia. There were 42 people participating which is a great success for our Association. The afternoon on 16th we had the honour to listen to our main sponsor’s presentation – Andrew Brown and Teodor Denchev (Toro Company) and Simon Taylor (ICL Company). It was great that these two companies were with us from the very beginning and I can easily say that the partnership through the years became a great privilege for both sides. For the rest of the day the members had the opportunity to meet Campey Turf Care Systems presented by Ian Pogson. That really made the audience impressed and engaged. The final speech for the day was given by Edgardo Ticozzi introducing his company (Universe Manure Company SRL). The guests saw very broad spectrum of products. A gala dinner was set in a Bulgarian restaurant for all participants in the next day of FEGGA Roadshow conference. The discussions and the enthusiastic conversations were endless. FEGGA Development Roadshow was held on the next day. This event was organised in partnership with R&A. It is the third one in our country for the last 4 years. It proves the close relationship between BGGA and FEGGA. FEGGA supported our industry not only through educations but also made an input in interexchange programs and visits to football clubs in UK recently. We are very proud how the Association is growing and we have a clear vision for moving forward. The Roadshow had a great success as usual. The main focus was the Integrated Pest Management. The members had the opportunity to listen to Anne Mette Dahl Jensen, cand. Scient. Ph.D.,Senior advisor – Turfgrass – University of Copenhagen and Giovanni Nava – Superintendent – Riviera Golf Club, Italy. They both inspired our guests with their knowledge and experience. Wendy Cole (Sustainability at R&A) and Paul Miller (SRUC Elmwood College) made short presentation of the available educations and benefits of them. The members had the opportunity to meet, speak and listen two person with the highest reputation in greenkeepers industry – Dean Cleaver (Executive Officer – FEGG) and Kamil Pecenka (Chairman – FEGGA). As part of the FEGGA Roadshow the seminar included short presentations of two of our golf courses “St. Sofia Golf Club” by Ventsilav Nikov (superintendent) and “Black Sea Rama Golf Club” by Stanimir Angelov (superintendent). ] The members really came out enriched with knowledge and “out of the box” thinking after this event. The discussions and interactions during and after the conference prove its success. The feedback from the people for these two days was very positive and encouraging. The right way of development and progress in the Association showed the hard work behind the scene. The Bulgarian Golf Greenkeepers Association is proud what we as an Organization achieved through the years. BGGA showed progress by declaring to be the teaching body for the turf industry in Bulgaria. The support of FEGGA (not only for the Roadshow) and the partnership with other Associations, golf clubs and football pitches prove how things will go forward for the BGGA. As the chairman of the Association I can confirm that no matter that we are small, we are growing strong. Our members became a turf family and I am glad to say we are more than ever one team. The Future Turf Managers Initiative 2018, made possible by Jacobsen, a Textron Golf brand, will take place at the company’s HQ in Ipswich from 6-8 March 2018. Aimed at up and coming greenkeepers who want to make the leap to Course Manager, FTMI focuses on personal and professional development. The FTMI programme utilises the expertise of leading Course Managers, dynamic trainers and industry experts to mentor and educate the next generation of industry leaders. Karen Proctor, Director Global Marketing at Textron Golf, said: “This will be the sixth year that we will be welcome 20 selected BIGGA Members to take part in the Future Turf Managers Initiative. Sami Strutt, Head of Member Development at BIGGA said: “We saw an increase of almost 40% in the number of applications received for FTMI 2018. Every year the selection process gets more difficult due to high quality applicants. Swedish greenkeeper Daniel Grant is the 2017 winner of SRUC Elmwood’s annual John Deere HNC Student of the Year Award, sponsored by John Deere and Scottish turf dealer Double A. Daniel was selected for his outstanding commitment and attitude to his programme of studies at HNC Golf Course Management level during the 2016/2017 academic year. Daniel, aged 27, works at Tomelilla Golf Club in Skåne, near his home town of Ystad, which has an 18-hole main course, a nine-hole short course and Footgolf. Although born and working in Sweden, Daniel has a Scottish pedigree – his father John is the golf professional at PGA Sweden National at Bara near Malmo, having moved from Scotland to Sweden in 1987 to work at Ystad Golf Club. The HNC course at SRUC’s Elmwood campus in Cupar, Fife, was recommended by PGA Sweden National course manager Barry Crawford – another Scot, who gained the same qualification there, among others – when Daniel was working for him as a seasonal greenkeeper. The course covers many different areas such as ecology, soil science, irrigation, drainage, design and construction, the history and development of golf and much more. For Daniel’s year it finished with a graded unit where the students had to present a management plan for Auchterderran Golf Course, near Kirkcaldy in Fife. “Although Daniel brought several years’ experience and very evident practical abilities to the course, it was his engagement with learning and the desire to develop his knowledge and learn even more that shone through in all his work,” said his SRUC Elmwood course tutor Stuart Mackie. SCOTTSDALE, Ariz. (Nov, 28, 2017) – The 2017 Waste Management Phoenix Open achieved another first in golf sustainability, becoming the first tournament in the world to attain “GEO Certified® Tournament” status from Scotland-based GEO Foundation (GEO). • 100% landfill diversion through recycling, composting, donation, reuse and waste-to-energy. 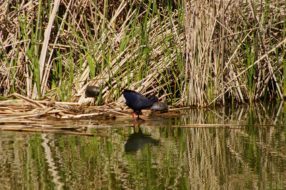 • 63.3 million gallons of water restored to the Colorado River Basin and Verde River through the Waste Management Phoenix Open Water Campaign with Bonneville Environmental Foundation. • 720 MtCO2e of carbon offsets with a strong socio-economic focus purchased, to cover more than double the emissions from tournament operations, player travel and volunteer travel. • Zero Waste Stations used to engage attendees, educating and encouraging involvement in sustainability. • An annual Waste Management Phoenix Open Sustainability Report with detailed metrics and program explanations. • A venue Environmental Management Plan and commitment to become a fully GEO Certified® golf facility. • Protection of ecologically sensitive areas and minimized impact of temporary structures and heavy machinery through a Site Protection Plan. • Over $10.1 million raised and awarded to local charities through The Thunderbirds and $100,000 donated to environmental organizations from Green Out Day. • Local youth engagement and free admission for local police, firefighters, active and retired military personnel. The GEO accolade is the culmination of many years of commitment, planning and delivery on the part of Waste Management, the tournament host The Thunderbirds and other tournament sponsors, stakeholders, and vendors to ensure a comprehensive sustainability effort covering all aspects of the tournament. Sustainability efforts of the tournament have been validated through in-depth third-party verification, including the Council for Responsible Sport, UL and GEO. To achieve GEO certification, the venue and organizers must complete a custom-built program for golf tournaments, that is both streamlined and robust, including: document and evidence submission, a third-party verification carried out by the Council for Responsible Sport (the official verification body for GEO Certified® Tournaments in North America), a thorough review by GEO, and agreement to a range of Continual Improvement Points. Jonathan Smith, Executive Director of GEO Foundation, said: “There is absolutely no doubt that the Waste Management Phoenix Open deserves this accolade. If you look at the breadth and depth of what they have done to date, and the social and environmental targets they have set for the future, they are clearly leading in the practical delivery of sustainability in and through golf, as well as inspiring so many others, in golf, in business and in the community. GEO is an international non-profit, entirely dedicated to advancing sustainability in and through the sport of golf. Established in 2006, GEO works closely with the golf industry, aiming to strengthen the social and environmental contribution of golf, help the sport credibly communicate its commitment and value, and champion sustainability in front of a large worldwide audience. In pursuit of this mission, GEO provides a suite of OnCourse® support programs for facilities, new developments and tournaments, and manages and assures golf’s externally-accredited and widely endorsed standards and certification system, GEO Certified®. Find out more at www.sustainable.golf. Media inquiries to Kelli Jerome, kelli@golfenvironment.org, +44 (0)1620 895 100. 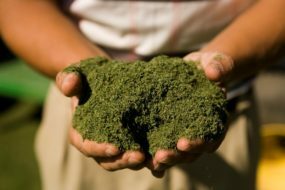 Find the Waste Management Phoenix Open Certification Report at www.sustainable.golf/wastemanagementphoenixopen. A new disease forecasting tool on the Syngenta Greencast turf management website now gives a clear picture of disease pressure across the UK – and a forecast of where there risk of infection is set to occur and will enable more informed actions. Live Maps combine accurate weather forecast information along with proven disease prediction models, to foresee and track risks for up to five days before they occur. Encompassing Google maps, users simply zoom in to their own area for a close up of detailed local information. The maps cover all key turf diseases, along with forecast changes in soil temperatures and a new feature for Grass Growing Potential. Daniel Lightfoot, Syngenta UK Turf Business Manager, enthuses that one of the great advances of Live Maps for greenkeepers is the ability to visibly track conditions and risks progressing across the country – and giving time to assess action plans. “Targeting preventative disease programmes during periods of infection risk, but before symptoms break out consistently maintains better playing surface conditions,” he advocated. Daniel pointed out that STRI research had shown fungicide programmes based on proactive forecasting maintained better conditions using fewer applications over the course of the season, compared to routine application or treatment at the first signs of disease. “Whilst products such as Instrata Elite have excellent curative activity on early disease stages with in the leaf, the results are consistently better and longer lasting if it can be applied before symptoms have broken out on the surface,” he added. Danial believes the new Grass Growing Potential maps will be especially useful for aiding Primo Maxx application interval timing – enabling turf managers to focus on periods of peak growth and potentially ease off when conditions are less favourable. The Live Maps are available now free for all registered GreenCast subscribers, under the ‘Weather’ tab in the navigation bar. The last rainy Wednesday in October saw a very successful event taking place in the cosy clubhouse of Royal Copenhagen Golf Club. A mixed crowd (108 in number) of Greenkeepers, Club Managers and industry associates from Denmark, the Netherlands and Sweden had decided to spend their day at Scandinavia’s oldest golf club. They were fully entertained by Chris Tritabaugh, Golf Course Superintendent at Hazeltine National Golf Club and Dr. Brian Horgan, Professor at University of Minnesota. The two Minnesotans gave their only second international performance of “The Doctor and the Super 2” with the focus on the Ryder Cup in 2016 at Hazeltine. But what a success! The full house in Copenhagen will be followed by yet another full house when the Danish Greenkeepers Association’s Annual Conference is kicked off at Rønnes Hotel in Slette Strand, North Jutland in the middle of November. More than 130 greenkeepers are meeting for a 3-days action packed program ranging from Nature Conservation, Integrated Pest Management and Water Management.